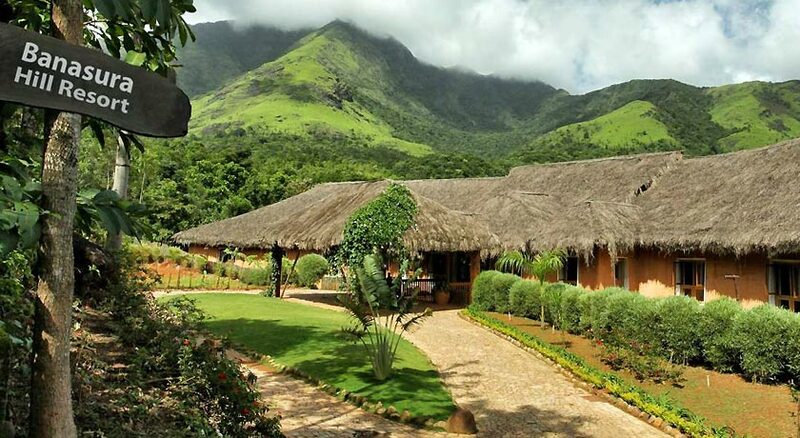 Banasura Hill Resort Wayanad is situated amidst 35 acres of eco-friendly farm and also amidst the tropical forest that comes with exotic flora and fauna. 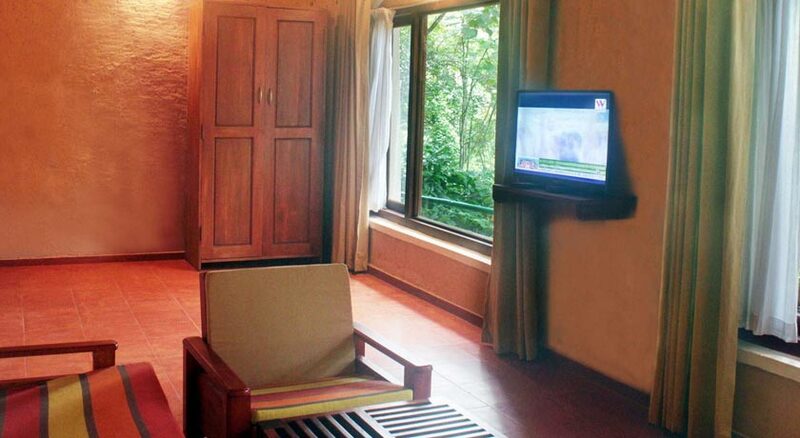 The resort is situated at an altitude of 3200 ft mist-clad hills of Wayanad. A beautiful stream runs through the resort and also a cascading waterfall. The resort is based on rammed earth architecture and was built using the mud excavated from the place where the resort is now. The resort makes use of optimal environmental resources in order to maintain ecological balance as well as helps in the conservation of natural heritage as well as biodiversity. 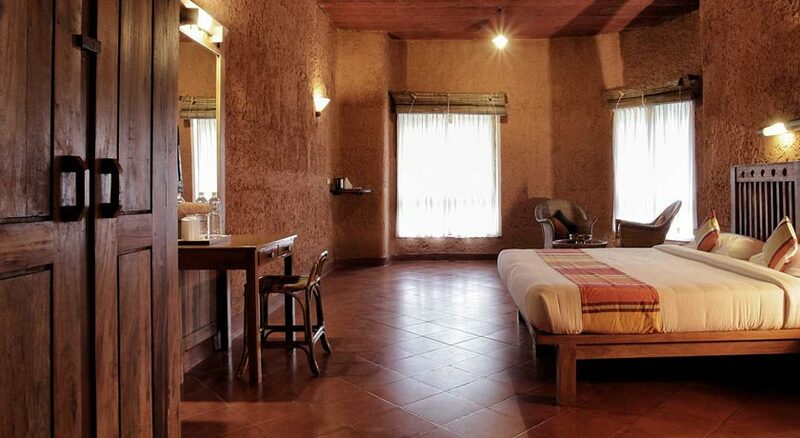 The resort comes with utmost luxury and comfort as well as all modern amenities. 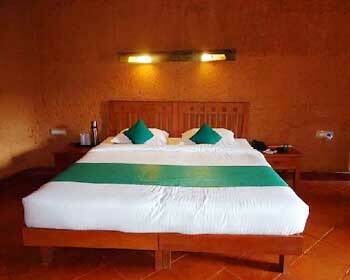 The resort offers four kinds of accommodation to the guests namely Suites, Log Huts, Twin Villas and Earth Rooms. The resort comes with a multi-cuisine restaurant that provides the guests with gastronomical treat. The hotel comes with spa, games room, fully equipped business centre, a conference hall and a banquet hall. 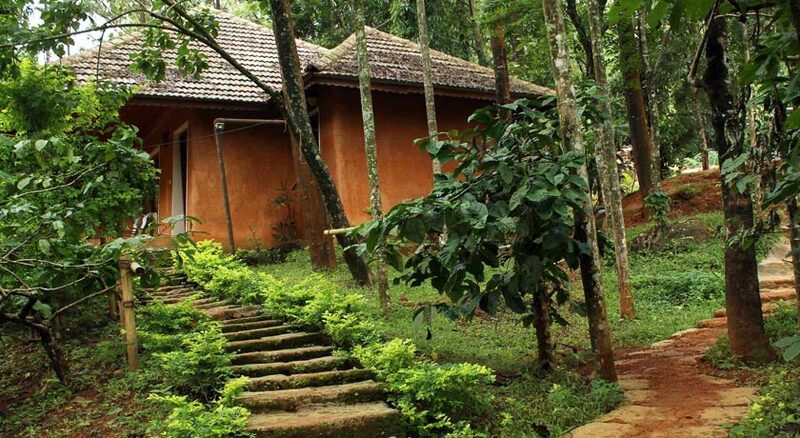 The resort arranges for trekking, tribal village tours, sightseeing trips, wildlife and natural trail, etc. The beautiful resort is the ideal retreat for honeymoon couples, family vacation and for corporate retreats. 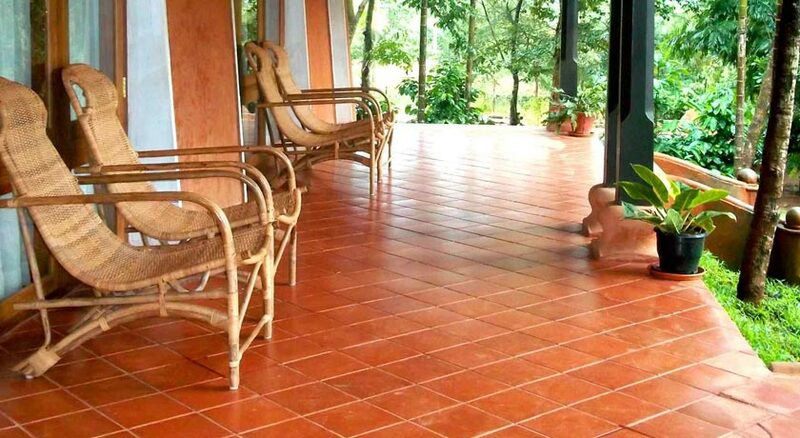 The resort suits all kinds of travelers and provides them with utmost relaxation and rejuvenation. 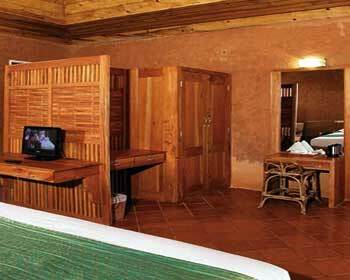 These are individual suites that are elegant, spacious, luxurious, well furnished and well maintained rooms. 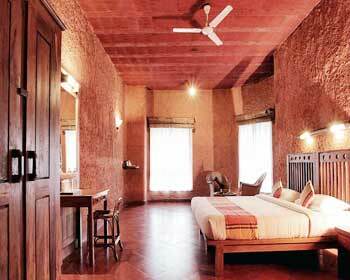 These suites are made of rough-hewn laterite stone. These suites come with a spacious living room with a separate dining area, a master bedroom with sittings area and a verandah that overlooks the garden. 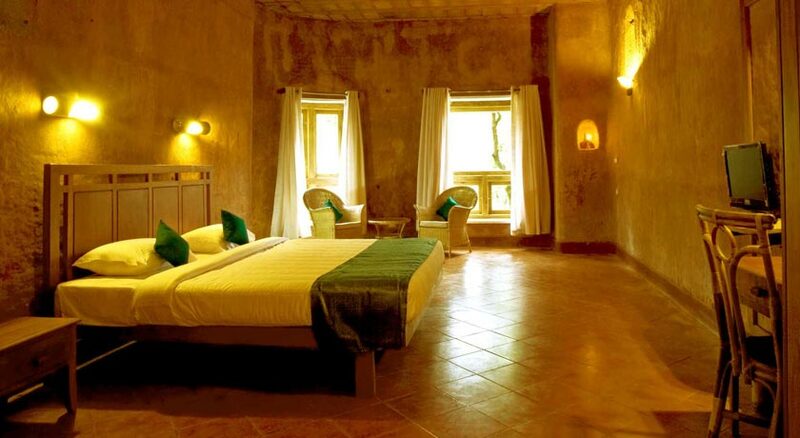 These rooms also come with a large window and the guests are provided with the beautiful view of the surroundings. The amenities available in these suites are master beds, attached bathroom with hot/cold water, shower cubicle/bathtub, 24 hrs room service, housekeeping, laundry/dry cleaning, toiletries, tea/coffee maker, safe deposit lockers, 32 inch LCD TV with cable connection, telephone with direct dialing, hair dryer, doctor on call, airport transfers, parking, welcome drink on arrival, use of board games, outdoor games, guided trekking inside the resort in the morning, mini bar, fruit basket, etc. 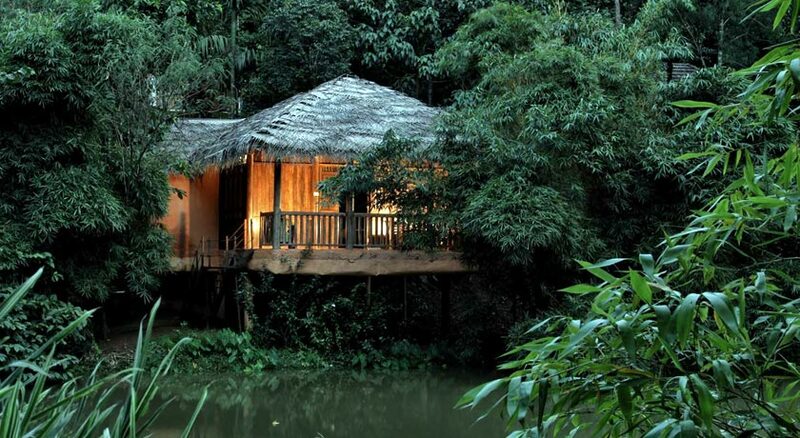 These are beautiful, elegant, cozy and inviting huts that are located just above the natural pond. These huts are ideal for honeymoon couples. 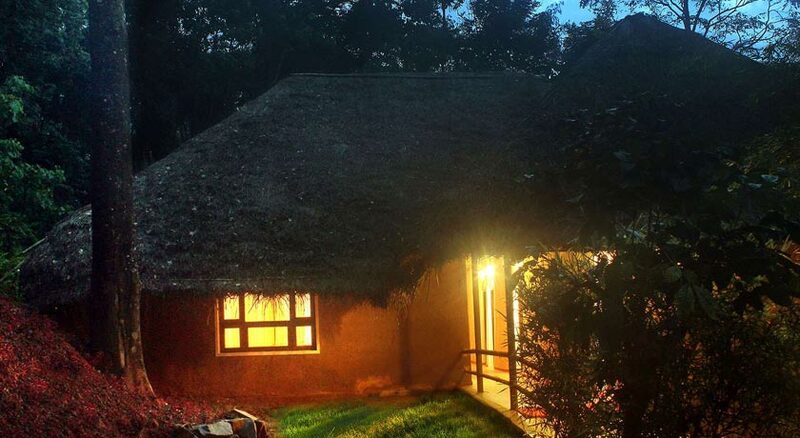 The spacious huts come with a separate living area and a bedroom with spacious sitting area and work area. 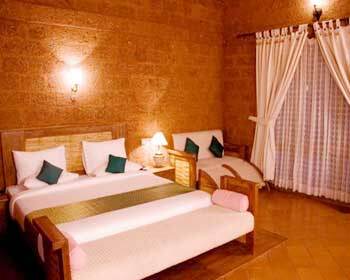 These huts also come with a verandah which overlooks the pond and the guests can relax and also can have the scenic view of the surroundings. 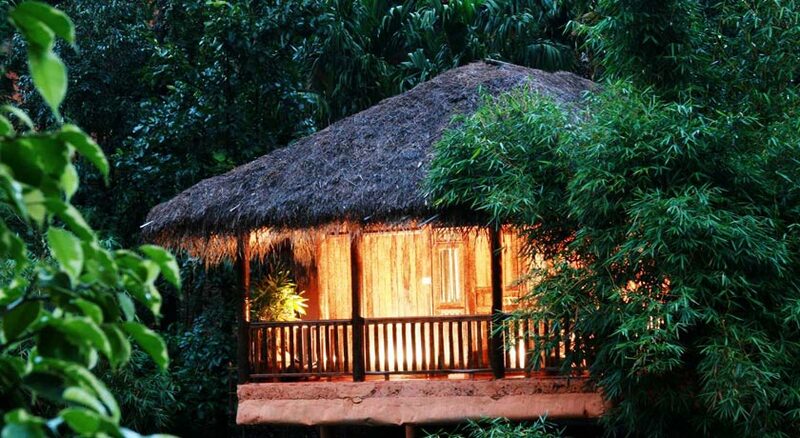 These huts provide utmost comfort and privacy. Some of the amenities available are attached bathroom with hot/cold water, welcome drink on arrival, King bed, shower cubicle/bathtub, use of in house indoor games and outdoor games, housekeeping, 24 hrs room service, guided trekking inside the resort, laundry/dry cleaning, mini bar, tea/coffee maker, toiletries, 21 inch LCD TV with cable connection, safe deposit lockers, fruit basket, telephone with direct dialing, doctor on call, hair dryer, parking, airport transfers, etc. 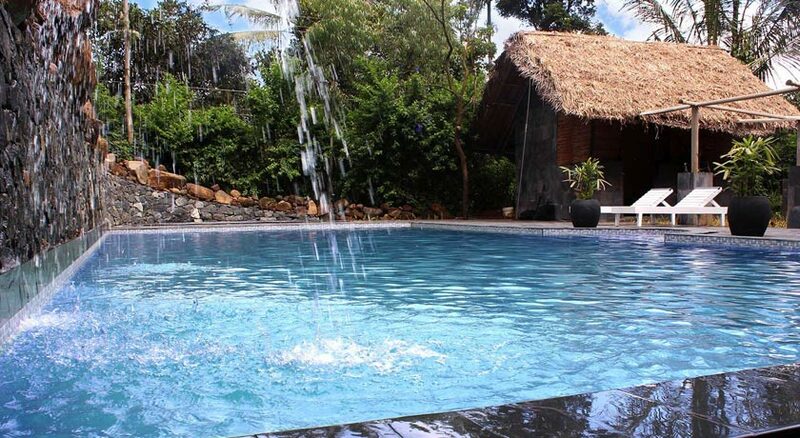 The twin villa consists of two bedrooms with attached bathrooms and a common sit out. The spacious rooms come with a sitting area, work area and a dressing area. The villas also come with a spacious sit out that overlooks the pond. The guests can have a wonderful view of the surrounding while relaxing in the sit out. These villas are ideal for those who travel in group or for extended family. These villas provide the guests with utmost comfort and relaxation. The amenities available in these villas are welcome drink on arrival, attached bathroom with hot/cold water, King bed, use of in house indoor games and outdoor games, shower cubicle/bathtub, housekeeping, guided trekking inside the resort, 24 hrs room service, laundry/dry cleaning, tea/coffee maker, mini bar, toiletries, safe deposit lockers, 21 inch LCD TV with cable connection, fruit basket, hair dryer, doctor on call, airport transfers, parking, telephone with direct dialing, etc. These are 400 sq ft enormous rooms and are the finest example for rammed earth architecture. These spacious, luxurious, well furnished and beautiful rooms come with a spacious sitting area and beautiful windows that offer the views of the surroundings. These rooms also come with a sit out where the guests can relax sinking in the nature. These rooms are ideal for those who need large accommodation and want to stay for longer time. The amenities available in these villas are use of in house indoor games and outdoor games, welcome drink on arrival, King bed, attached bathroom with hot/cold water, shower cubicle/bathtub, guided trekking inside the resort, housekeeping, 24 hrs room service, laundry/dry cleaning, toiletries, 21 inch LCD TV with cable connection, parking, safe deposit lockers, doctor on call, hair dryer, airport transfers, telephone with direct dialing, tea/coffee maker, etc. The 24 hrs delectable on-site multi-cuisine restaurant serves Indian, South Indian, Chinese and Continental cuisines. The restaurant also serves delicious mouth watering local cuisines. The restaurant offers breathtaking view of the surrounding landscape. The interiors of the restaurant are simple yet elegant. The tables are arranged in such a way that they provide comfort as well as privacy. The chef prepares quality and fresh foods by using quality ingredients that are procured locally and prepares the food in clean and hygienic manner. For the calorie conscious guests, the chef prepares a variety of healthy dishes. You can also customize your menu. The food served is sumptuous as well as scrumptious. The soothing music played in the restaurant, warm and courteous service of the restaurant and the aromatic and delicious food provides the guests with a fine dining experience. The restaurant also provides in room dining facilities. It is also opened to outside guests.